2014 - 2019 Ford Transit Connect Wagon Cargo Liner - Fits Short Wheelbase Wagon only. Fits behind second row of seats. Color: Black. 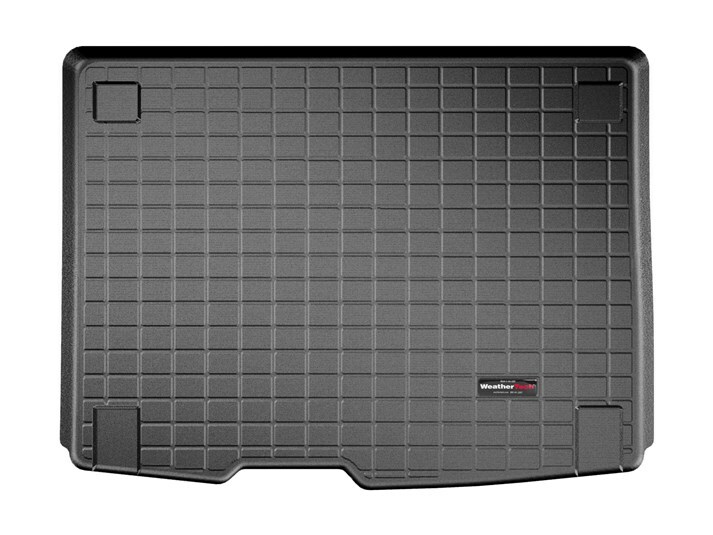 WeatherTech® Cargo Liners provide complete trunk and cargo area protection. Our Cargo Liners are digitally designed to fit your vehicle and feature a raised lip to keep spills, dirt and grease off your vehicle’s interior, protecting your investment from normal wear and tear. Made from a proprietary custom blended TPE that is not only wear resistant, but also remains flexible under temperature extremes. WeatherTech® Cargo Liners feature a textured finish that helps to keep cargo from shifting. Perfect for hauling just about anything from gardening supplies to construction materials, even the family pet. WeatherTech® Cargo Liners meet FMVSS302 standards. Cargo Liners are proudly designed, engineered and manufactured with American made tooling in the USA. Available for car trunks, minivans and SUVs in Black, Tan or Grey.